The peace on offer from the global lobby, despite the fine turns of expression, was one that was compatible with gross violations of human rights. President Chandrika Kumaratunga’s initiative in 1994 renewed hopes for peace. Although the LTTE resumed hostilities, the Government publicised its political package in August 1995. Those who supported Kumaratunga’s initiative (e.g. left movements) divided into two schools. 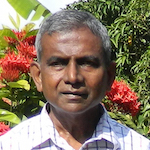 One held that should the LTTE not agree, the package was useless, although its aversion to substantive talks was undisputed. The other felt that a political settlement is sine qua non to set aside the perception that the Sinhalese are the ones obstructing peace. Duly, several groups continued to hold meetings, sustaining the momentum towards a political solution. A drift began in 1997. The groups campaigning for a political settlement felt let down by the Government blaming the UNP and delaying tabling the package in Parliament. The Government’s jarring slogan “War for Peace” too suggested a shift of emphasis towards militarism. The war was running into a stalemate and peace groups were making overtures to the LTTE. The Government’s blatant use of thuggery in the NWPC elections in early 1999 and a growing tendency for violence against journalists noted for hard hitting attacks on the Government, brought a clear break. For many left-leaning NGOs, which under the PA became increasingly confused about their role, attacking the Government became the top priority. This was home territory in which their international contacts too were comfortable. After a period of uncertainty, they went all out to secure a place in Southern politics, championing the causes of democracy and press freedom. Rather than making fine distinctions, what mattered was hitting hard and creating impressions. Any slogan that sounded politically correct and brought numbers to their banner became serviceable. Facing the reality that the LTTE would never let the Tamils have peace while challenging the anti-democratic drift in the Government, would have demanded a clearly thought position. They avoided this. It was far easier to say that the Government was the cause of the war, the resulting privations and restrictions on civil liberties. 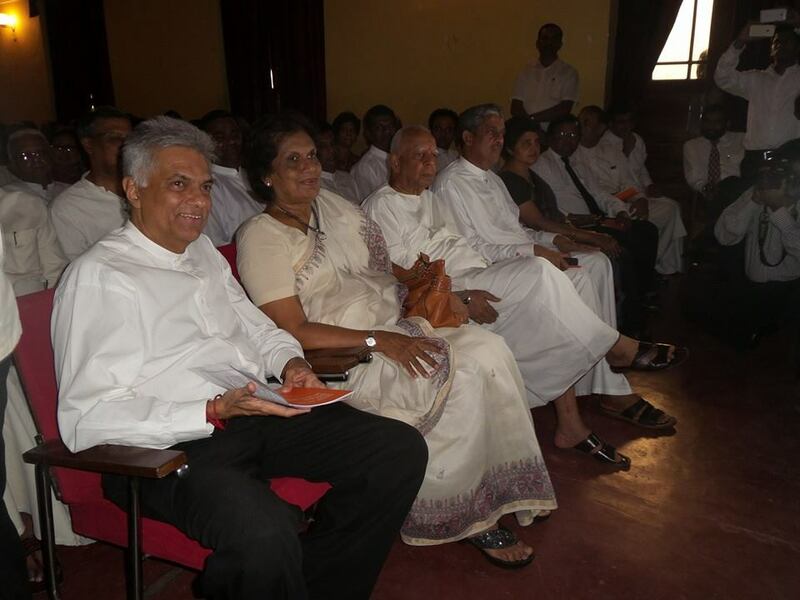 This brought them in line with the UNP of Ranil Wickremesinghe, the peace lobbies including leading churchmen, the NPC, the bulk of the international NGOs dealing with peace in Sri Lanka, and the survival politics of most of the Tamil parties. The focus was on the LTTE as distinct from the Tamil people. There was indeed a need for protest to uphold democratic rights. This required going beyond ‘political correctness’ against the grim reality of the Army in Jaffna being in crisis. Among the signatories to the statement above were strange bedfellows – the TULF, the ‘July 1980 Strikers Union’ and the UNP union JSS, which first bashed the July 1980 strikers and then the Tamils in July 1983. An insider described the TULF’s plight thus: “Yes, we have politburo meetings and talk. But whether we say this or that, it does not matter. They (the LTTE) will still shoot us.” The reality was that the North-East no longer concerned most of the signatories. This was a broad front of actors with disparate aims, who were averse to any historical accounting. The result was ironic for many leading activists who had worked for a just political solution to the Tamil problem. They ceased to have a viable position on the Tamil question. Without a firm concern for the democratic rights of the Tamil people, asking the Government to talk to the LTTE and solve the problem could only mean handing over the Tamils to the LTTE. Hence, this was made out to be what the Tamil people wanted. This was evident in how the Centre for Policy Alternatives (CPA) narrowly interpreted the 1999 presidential election results in the North-East as a decisive vote for the UNP, which was in effect the LTTE’s proxy. A resultant necessity was to write off Tamil dissent as inconsequential, eccentric or ignoble. Sadly, activists in the South forgot the late 1980s, after the JVP’s murder of the popular student leader Daya Pathirana. Within a few months, from the student unions onwards, it was as though the JVP alone spoke for the Sinhalese people. Liyannarachchi’s murder alone aroused the moral indignation of the SLFP and the Bar Association. It was a bitter and traumatic experience for today’s activists and members of the peace lobby then targetted by the JVP. How is it that ten years on they wilfully accept at face value noises from the North orchestrated through the media, NGOs, ‘university students’ and ‘religious leaders’? Southern activists well know that in the North, putting on street plays to trick children into the LTTE, justifying its murders, prompting ‘university students’ and climbing peace platforms sponsored in the South, are all one phenomenon. Some of the harshest attacks on Tamil dissent had the connivance of members of this second (left-leaning) group. A particular source of these attacks reflecting a present trend was the Tamil journal of the Movement for Inter-Racial Justice and Equality (MIRJE), that once did commendable pioneering work. Instead of giving Tamils the hope that there were Sinhalese committed to justice and questioning the internal fascist drift, as the MIRJE ought to, its Tamil journal catered to this drift. It repeatedly told the readers that the Sinhalese are vile. Sinhalese politicians like Vasudeva Nanayakkara who long sought justice for the Tamils were ridiculed in the MIRJE journal. LTTE attacks on Sinhalese civilians were justified (see our Special Report No.11). Tamil critics of the LTTE’s fascist politics were branded government stooges. Tamil dissidents in Jaffna met visiting MIRJE leaders at some risk and told them that their journal was harming the Tamil people. Nothing changed despite the foreign funders being aware of this. Recently, the baton has been taken by other journals coming under the umbrella of the Free Media Movement, raising questions about its rationale. If there is any discussion of ethics within a movement of that name, they would be sensitive to people whose voices are suppressed. But when writers prominent in this Movement use associated media to create impressions and belittle those who expose the LTTE’s violations without any checks by colleagues, its rationale becomes parodied. This is a game of name- calling without any serious appraisal of the positions of those being disparaged. It has become galling for them to endure self- respecting Tamils speak on behalf of their community. This is an unfortunate instance of what a hard-pressed people sometimes face from their global and local defenders. The need to stigmatise Tamils opposing the LTTE as stooges of the State, is one that arises from a failure by Southern activists to face up to their own plight during the recent JVP uprising. In June 2000, India to which the Government had appealed for help was pressing it to make the political solution a reality. But the local groups who earlier worked for a political solution were keeping an eerie silence. We were in novel situation where the main criticism of Sinhalese extremism (e.g. Sihala Urumaya) was coming from left-leaning individuals who had parted company with the Free Media Movement. Several of them had joined the state media (e.g. the Observer). The FMM and their associates were paying the price of seeking a broad anti-government front that was weak on principles. Their loss of perspective can be seen in several of them with their associates opposing President Kumaratunga’s constitutional package of August 2000 (see Sect. 23.7.1). In so doing they were in the same camp as the Sihala Urumaya, other extremist groups and the UNP, pretending not to notice the ugly situation being created with chauvinist rhetoric flowing freely. The extremist groups are so twined with their past as would contradict themselves frequently in the new world they cannot handle. They have simply wished away the consequences of the State repeatedly orchestrating violence against a minority from August 1977. The arguments of S.L. Gunasekera, lawyer and ex-president of Sihala Urumaya (Sinhalese Heritage), may sound logical, however his premises are troublesome. The Tamil people, these aver, demand federalism today, only to wrest separation tomorrow. Whence, he dismissed the Government’s devolution proposals as a concession to separatist-terrorists. It comes from a legal mind deficient in understanding humanity. Particular collective moods are triggered off by experiences, but they are not static. They can be healed. Mr. Gunasekera and his friends remain tied to a single track on which they took off in 1984 with similar fears. Their actions made these fears a dead certainty. Gunasekera was intimate with the group (see Chapters 14 and 20) whose policy of Sinhalese settlement quickly degenerated into a general attack on Tamil villages in the East. Though lauded in the media a champion of Sinhalese in border areas, he too is answerable for their tragedy. Having been through all this, he doubts whether the Tamils have any special problems as Tamils. Examples abound of the immaturity and sorry plight of persons of this ilk. When the fall of Jaffna to the LTTE seemed imminent in May 2000, this group, including the monk Ven. Sobitha, called upon India to pull Sri Lanka’s chestnuts out of the fire. Ironically, this same group, with the SLFP and JVP, orchestrated violence when President Jayewardene invited Indian troops to help maintain order in 1987. Their knowledge of foreign affairs comes from minds luxuriantly soaked in the Mahavamsa and viewed India as the land of invaders (see Sect. 5.4). However, in a crisis, they would run to India as the protector of their class interests (e.g. 1971). Even as the military balance in Jaffna remained tenuous, the Sihala Urumaya types, after sending an SOS to India, were conceited enough to object to the Government’s devolution proposals, which India saw as urgent. It seemed to them very natural that India, unmindful of her own interests, must make sacrifices to undo the mess their ilk had made. What Prime Minister Indira Gandhi told Amirthalingam in 1984 still holds: “I will help the Tamils, but I will not harm the Sinhalese.” India has to deal with the regional threat posed by the LTTE. But if she is to involve herself directly in Sri Lanka, she needs assurance that she would not again be a victim of self-indulgent local volatility stirred up by chauvinists. When the country is poised on the edge, a serious political party conferring with an important foreign mission should demonstrate a vision that is credible and humane. A discussion the Sihala Urumaya president, then S.L. Gunasekera, had with US embassy officials (Sunday Times 25.6.2000) ended abruptly. The former countered a question about genocide of Tamils with the US in 1945 dropping atom bombs on Hiroshima and Nagasaki; and similarly, a question on minority and human rights in Sri Lanka with one about Black and minority rights in the US. This was a performance for the cheering faithful rather than to advance the interests of the Sinhalese. The genocidal policies of the mid- 1980s were perhaps too close for Gunasekera’s comfort. Such irrationality characterises a vocal section of Colombo’s professional elite. Though electorally insignificant, when the Government falters, they can add to the volatility. If a national paper in India, say the Madras Hindu, ran a column vilifying a minority, accusing it of an innate conspiracy against all others, surely, it would undermine India’s credibility. It would signify that an influential class not only finds such writing normal, but is also indifferent to the feelings of those collectively vilified. The Kumbakarna column in the Sunday Times was a notable instance in a genre that is prolific in the Sri Lankan Press. Present Realities and Precarious Options acquiring land, where the civilians do not want to live in anyway, for a purpose that would enhance their own protection.” Curious, the Army protects citizens in Jaffna, who move away from the Army for their protection, and the Army takes more land for its protection! After the fall of Elephant Pass, with the LTTE using long-range cannon, this buffer zone argument entailed that civilians should move away into the LTTE controlled Vanni for their protection and hand over their children to the LTTE for forced military training. The Sunday Times is the largest selling English weekly. One despairs for Sri Lanka, when life and death matters of a people, their land, livelihood and their cultural symbols are all treated with casual levity by a major newspaper. The newspaper’s more balanced columnists ignored the issue. The editor of the paper, Migara of the Weekend of old, and his close sympathy for causes espoused by S.L. Gunasekera’s company and Kumbakarna are part of history. Only, he is responsive to global sensibilities unlike Gunasekera. From 1997 when the war was intensifying in the Vanni, he regretted before a media forum in Europe that they were unable to report the suffering of Tamil civilians there because of censorship. But when the Armed Forces massacred Tamil civilians in the East during June/July 1990, it was not censorship that prevented his reporting the outrage. In an unwarranted mood of triumph, The Sunday Times editorially urged the Government to use military advantage to settle the land question. Having recently become president of the Editors’ Guild, Migara is destined for international celebrity status. In Sri Lanka today many are playing out crises brought about by positions they once espoused. Some have been driven to extreme nationalist positions to cover up for espousing fair treatment of Tamils in their youth. Others are stuck with a notion of political correctness in a changed reality that does not answer to the simplicities of class struggle. Volatility is the hallmark of unprincipled publicists treading shifting sands. Any country wanting to help Sri Lanka would be daunted by the near impossibility of finding a consensus. Those of us who became politically aware in the 1950s and 60s are twined with the dead boughs of bygone winters and are incapable of enlivening a new spring. Ours it is to play out the dance of the dinosaurs.